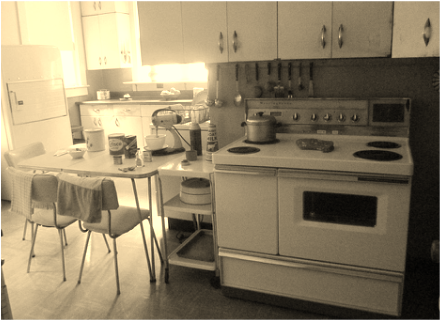 Kitchen Table is a haiku of a play. It says much, with very little—a family, a friend, a dinner table. This powerful drama follows the heartbreak of Nicky Wong, a young Corvette-crazy Chinese American man, through the demise of the family’s traditional Chinese before dinner grace. When Nicky’s obsession with his ‘Vette and the white mechanic who helps him fix it gets in the way of the family dinner, a battle between son and father ignites, as Nicky struggles to carve out his version of manhood—in and outside the tradition. Why I Wrote this Play: My paternal grandparents always favored boys. At Christmas, Chan boys always got twice as much money gifts than Chan girls or Lee boys, since we wouldn't carry the family name when we married. Sons were included in wills; daughters, not at all. We always knew that first-born sons, like my brother, had it made. Or did they? I always wondered what it really must be like to be the Son. So I set out to find out in Kitchen Table. What else comes with the benefits of being a good Chinese American boy? Especially one who likes boys. Development History: New Dramatists (dir. Jose Zayas) 2014; Playwrights Horizons (dir. Ken Rus Schmoll) 2008; Lodestone Theatre (dir. Chil Kong) 2007; Ma-Yi Theatre (dir. Loy Arcenas) 2007. Workshops: Bay Area Playwrights Festival (dir. Christine Young) 2006; Magic Theatre (dir. Rob Melrose) 2005.